What Is The Best Way to Pay Back Student Loans? Actually, Meisha, I think you are doing a great job already. The 10-year repayment plan is the fastest way out of federal student loan debt, and you will wind up paying the least amount of total interest. While there are other options that may lower your payment, you will wind up paying substantially more overall. Why? Because no one is going to give you something for nothing. If you want a lower payment now, then the holder of that loan will want their money back later. That means extending the length of the overall loan – which means you’ll pay much more in interest since you’re adding years to the loan. It’s not clear what the length of your private student loan is. Paying more than the minimum each month will go directly toward lowering your balance. If I had a magic wand, I would help you to find a higher-income job to ease the pressure you may be feeling. You could then stash a bit into your emergency savings account and participate in any employer matching retirement savings plan. Overall, it seems like you are at the minimum income point to service your student loan debt. The three primary ways to deal with debt are to increase your income, reduce expenses, or a combination of both. If you don’t lower the interest rate, then the only way to lower the monthly payment is to extend out the length of the loan. And as I’ve already said, that only makes the loan more expensive in the long run. Before you do anything, I’d recommend you read the Debt.com report, How to Pay Off Student Loan Debt Fast. It will give you some more in-depth advice on the topics I raised here. You can also compare student loan debt solutions – because if you must extend your loan to get a lower monthly payment, you should try to get the best possible deal you can. You may also want to explore private student loan settlement, which can be hit or miss and comes with several reservations and caveats. Click the link to see if it’s something worth exploring. Finally, his situation is Exhibit A for why federal student loans are easier to renegotiate. The federal government has several programs that offer relief. I urge students to be careful about rushing into private student loans. Can Student Loans Be Discharged if My School Closed Down? Question: I have a student loan of about $50,000. It is in deferment. I was working with a company for a few years, trying to get the loan discharged based on the fact that my school closed and offered false certification. I had filled out a bunch of papers, and they kept deferring my loan while waiting for a response. When I went back to see what the status was, I learned they went out of business. I have all the paperwork of all the information on how I was misled by the school, but I have no way of going back to continue. I need to do that, or I can’t become certified in New Jersey so I can work full-time. Is there anyone who is knowledgeable on this topic that I may show my paperwork to and can assist me with this? Another problem with pursuing these discharges is that the timing is very strict. If your school closed less than three years ago, you will need to contact the servicer and confirm you are even eligible for a closed school discharge. To be eligible for forgiveness, you must have been attending the school when it closed, or the school must have closed within 120 days after you withdrew. If you elected to complete your coursework at another school – or you completed your coursework before the school closed – you are not eligible for a discharge of the federal student loans. Even if you’re eligible, you’ll need to make sure you continue to make payments while your discharge application is being processed. This is important. Until your application is accepted, nothing has officially changed in your situation. If your closed school discharge application is approved, the debt will be forgiven. You will receive reimbursement of payments made, and the history of the loan will be deleted from your credit report. The key here is: You should work with your federal student loan servicer directly. If you want more details, the government has an FAQ that goes into all the details. It’s not light reading, but it’s crucial if you want to get this taken care of. Good luck, Denese. Question: My husband and I want to buy a home. I have over $100,000 in loans, but I’m on Income Based Repayment and pay $0. Do lenders accept that amount? How can I make my loans not hinder me from buying or building a home? Student loans can make buying a home more difficult – but it is possible, Jessica. There are multiple factors to consider here. First, since you’re on an Income-Based Repayment plan with a $0 monthly payment, that suggests your discretionary income is relatively low. So you may have trouble qualifying for a home loan. You must also consider what type of mortgage loan you are eligible for. There are several ways the different agencies calculate debt-to-income (DTI) ratio for student loan borrowers on Income Based Repayment plans. Buying a house with student loans is possible with the help from any of the below. See if you qualify for a mortgage and apply if you meet the requirements. If the credit report shows a $0 monthly payment, then Fannie Mae will allow the $0 monthly payment to be used for qualifying purposes. If the credit report does not show a $0 monthly payment, but you can provide documentation from the student loan servicer confirming the $0/month payment, then the $0 payment can be used. You can learn about this, and Fannie Mae’s other student loan solutions, here. If the $0 monthly payment shows on your credit report, then $0 is the amount used in the DTI calculation. 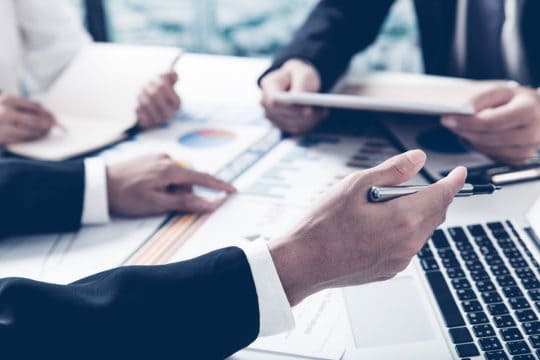 Otherwise, the monthly obligation is calculated by one of the following: The greater of 1 percent of the outstanding balance, or the monthly payment reported on a credit report, or the actual documented payment, assuming the loan balance will fully amortize over the term of the loan. You can read the exact language from the U.S. Department of Housing and Urban Development here. The Department of Veterans Affairs (VA) has yet another calculation. If the payment on the credit report is greater than the calculation above, the reported amount must be used. Or the payment on the credit report is less than the calculation above, documentation from the student loan servicer indicating the payment is lower and the terms of repayment is required. If the veteran provides written evidence that the student loan debt will be deferred at least 12 months beyond the date of closing, a monthly payment does not need to be considered. Learn more from the VA here. If your husband qualifies with just his income and he is taking out a conventional mortgage loan, your student loan debt (or any of your other debts) would not be counted against him. Unfortunately, the same is not true if you are applying for an FHA or VA loan. Even if you don’t apply for the mortgage with your husband, these government loan programs require that your debt be counted against him since you are married. Denny Ceizyk is a staff writer for LendingTree. He contributed to this report. Should I Pay Off Debt or Invest in My IRA? Question: I’m trying to figure out what to do about paying off my student loans and investing in retirement. Should I pay off debt or invest in my IRA? I just graduated college in May and began a full-time job in October making $36,000. I also do freelance work and receive anywhere from $500 to $1000 a month from that. I’m still living at home, and don’t have to pay rent or groceries, which really helps. Currently, I have just over $18,800 in student loans at an average interest rate of 4.45 percent. I just started paying against them last month. And I have also opened a Roth IRA with just under $2,000 in there. My plan currently is to contribute $500 a month to my IRA. That way, I can max it out and pay $700 a month to my student loans. My question is: Should I leave my IRA as it is and put that $500 a month toward my student loans in order to possibly get them done within a year? The stock market has done nothing but fall since I opened my account. And I’ve read that could continue this year. But I’ve also read that it’s good to just keep contributing to an IRA when your debt isn’t high interest, in order to reap the rewards of compounding interest. I plan to move out of my parents’ house after a year. So, I think not having any debt would help with that a lot. Would I be better off to stick with the course I’m on and knock out the debt in 2.5 years? Would not investing in my Roth IRA for a year or so make me miss out on potential compound interest, even if the market will likely go down stay the same? Or would it be too negligible to matter? Financially, it seems like investing could earn you more money in the long run than paying off your loans early. Your student debt has a relatively low-interest rate of 4.45 percent. So, it’s not costing you a huge amount in interest over time. Depending on your credit, you could even consider refinancing for lower rates. Your return from the IRA can, of course, vary depending on what sort of assets (stocks, bonds, etc.) you invest in and how the market performs. As personal finance expert Dave Ramsey notes, it’s not unreasonable to see the S&P 500 benchmark stock index earn investors in those shares 12 percent or more per year. In such a scenario, the gains from investing could outpace the interest you’re paying on your student loans. Since you’re starting young, your money will have time to grow. And you’ll be able to weather any temporary dips in the market. The effects of compound interest grow more powerful over time. Putting that extra $500 into your IRA could result in greater savings in the future than waiting until you’re debt-free. You can use a student loan payoff versus invest calculator to see exactly how much money you could make by investing your extra $500 per month instead of throwing it at your student loans. Of course, a return of 12 percent isn’t guaranteed, and no one can predict what will happen in the future. We can only base our predictions off past economic behavior to guess what can occur in years to come. The financial answer to your question seems to come out in favor of investing. However, the “personal” answer might lead you to a different conclusion. If you’d rather be debt-free and have a low tolerance for investment risk, you should pay the loans back first. By making extra payments, you’ll get out of debt faster and save money on interest in the short term. Although your savings might not match what you could earn over the long run through investing, you’ll experience their effects much quicker. By saying goodbye to your student loan payments years early, you’ll also have more of your monthly income to keep for yourself. This could be helpful if you’re looking to rent an apartment, buy a car or make another big purchase for yourself. All in all, you’ll probably reap the rewards of paying off your student loans earlier than you would enjoy the fruits of investing. But if you’re playing the long game, putting extra money into your IRA will likely earn you the most money overall — you’ll just have to wait a few decades to enjoy it. I would add that paying off student loans and saving for retirement aren’t your only financial priorities. It’s also important to put money aside as an emergency fund. You’ll be prepared for an unexpected expense if you have some liquid savings. Most experts recommend putting aside between three and six months’ worth of living expenses in your emergency fund as a financial cushion. Once you have your savings set aside, then you can use the leftover monthly income to invest or prepay your loans. In the end, the decision to pay off debt early versus invest comes down to two main factors: what the numbers say, and what your personal feelings are about debt. Investing could earn you more overall, but that doesn’t mean paying off your student loans faster is the wrong choice. If getting out from under the shadow of debt is your priority, feel free to throw that extra $500 at your student loans until they disappear. Reflect on your personal short- and long-term goals, and let those goals help you strike the right balance between paying off student debt and investing in your IRA. Andrew Pentis is a student loan expert and a writer for Student Loan Hero. Does debt follow you to other countries? What if I get adopted overseas, change my name, and then apply as an immigrant? Would they catch me? This isn’t a hypothetical. I’m 27 but my mother who raised me died two years ago, with no relatives in this country. I have distant but friendly relatives in China. I also have $42,000 of student loans. If I go to China, get adopted by my well-to-do relatives, then return to this country as a Chinese national to pursue my doctorate, how would this country know who I was and what I owe? Fleeing the country to avoid student loan repayment rarely works out well for borrowers, and it would probably only succeed if they live the rest of their lives outside the United States. It’s not something I recommend. What about fleeing and then returning under a different identity? With all due respect, Kim, that is a hypothetical, and a juicy one at that. From a legal standpoint, Goldenberg says changing your name and citizenship status won’t affect your liabilities. You would still owe your creditors what you borrowed — plus interest. We won’t pretend to know whether the Department of Education or your private lenders have the wherewithal (or willingness) to track you down. We also won’t get into the ethics of knowingly not repaying what you borrowed. That’s fodder for a different type of advice column. For one, if you have federal loans, consider switching to an income-driven repayment plan to make your monthly payments as affordable as possible. Grouping your debt via a debt consolidation loan could be your first step. If you have federal and private loans, you could attempt to refinance with a private lender. You’ll need a strong credit score (among other factors) to unlock refinancing companies’ lowest interest rates. Also, you’d lose the perks of federal loans, such as the ability to alter your repayment plan. Finally, you could be eligible for student loan repayment assistance for your undergraduate loans or future doctorate costs. After all, it’s better to receive a helping hand than to have to look over your shoulder. Andrew Pentis is a personal finance expert at Student Loan Hero. Question: I studied in the United States for many years. But when I got my degree, I moved to another country. I currently have a federal loan around $120,000 that I cannot repay. Soon it will go into default. However, I am NOT an American citizen, and I live outside the United States. What could the consequences be, if any? Do I have to pay back the loan anyway? Will my credit score be affected? Can that hurt me in Mexico? Moving abroad and leaving debt behind is a dangerous game. Like many games of chance, it’s hard to predict if you’ll win or lose. Let’s break it down by first answering what I think you’re asking: “Can debt follow you to another country?” The answer is no, the United States government isn’t going to send a debt collector to your door in Mexico. However, if you ever want to live or work in the country again, you’ll face the same penalties as any U.S. citizen who stops paying their student loans for 270 days (after which it goes into default). One of those penalties is serious: The government will seize a chunk of your paycheck. When most people hear the term garnish, they might think about parsley on the side of a dinner plate. But that’s not the garnishment we’re talking about. This garnishment will make you lose your appetite. 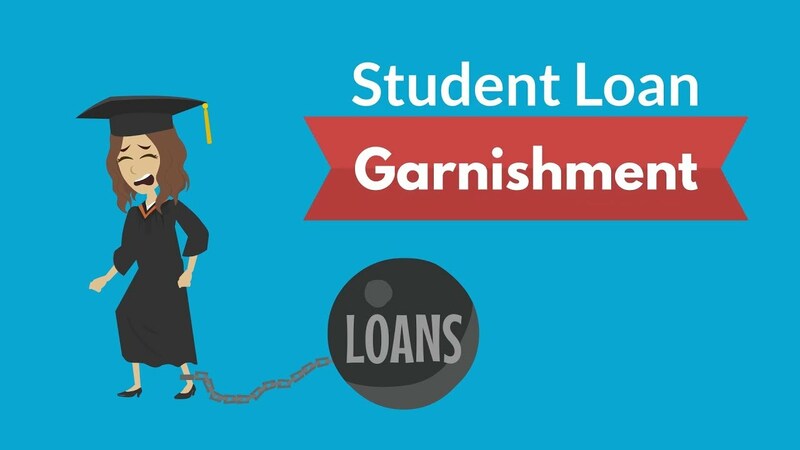 Student loan garnishment means the government will take a chunk of your paycheck or your tax return. The government then uses that money – your money – to pay down your student loans. Thankfully this only happens when you’re in default. That’s when you fail to make monthly payments for nine consecutive months. At that point, the government goes after your cash and it’s totally legal. How much can they take? Up to 15 percent of your check and all of your tax refund. This is definitely something you want to avoid. And luckily there are proven ways to grind garnishment to a halt. Learn about them at Debt.com. That means, should you ever land a U.S. job, the government can remove 15 percent of each paycheck and apply it to your student loan debt. The government can also garnish Social Security checks and disability benefits if you’re receiving them. You probably aren’t, but I mention both to show just how serious the federal government is about the student loans it guarantees. You might think, “OK, I’m safe as long as I don’t cross the border,” but that might not be true. If you work for a company based in the United States, your paychecks can still be garnished. You’re in Mexico, John, which is a major U.S. trading partner. It’s not unlikely you might find good work with a U.S. company – and suffer the consequences. As you can now see, just because you left the country, you didn’t leave behind your debts. They survive and even grow. In this way, U.S. debt follows you if you depend on an American company for pay. As for your credit score, it operates much like your debts. Because you’re no longer paying what you owe, it will plummet. The only good news: Lenders in Mexico don’t use U.S. credit scores. To keep your options open and your payments low, consider switching to an income-based repayment plan to make your monthly payments as affordable as possible. You could also group your debt with a debt consolidation loan. Student loan debt is such a massive problem in this country, the federal government offers options to make payments affordable. These are legitimate programs for greedy reasons: The government eventually wants its money back, but with more than $1.2 in student loan debt outstanding – more than all the credit card debt in the nation – it doesn’t want more defaults. It certainly doesn’t want its borrowers fleeing the country. Buried in student loan debt? Don’t flee the country. Contact Debt.com, we have the solutions to fit both federal and private student loan debt relief. Can I Pay Off My Student Loans By Betting On Sports? Question: Now that the Supreme Court says gambling on sports is legal, do I have to pay taxes on my winnings? I’m really good at predicting sports but never gambled on it because I’m a school teacher, and I’d get fired if I got caught. But now that it’s legal, I plan to pay down my student loans by making money on sports book. Before I answer your question as a tax expert, let me quote some of the other experts here at Debt.com when I told them you planned to pay down your student loans by gambling on sports. We’ll get back to your student loans in a moment, Jim, but let’s talk about taxes and gambling winnings. Hi, I’m Jacob Dayan, CEO and co-founder of Community Tax. First, you need to know this, gambling on sports is not yet legal everywhere in this country. The Supreme Court didn’t just wave a magic wand and declare bet on the NBA and NFL in all 50 states; it simply struck down a law that bans sports betting. Now, it’s up to those states if they want to allow it. That can take months or even years for them to decide. One thing that’s for sure, though, the IRS is already tough when it comes to gambling that’s legal right now. We’re talking casinos horse racing, and the like. So yes, if and when the states make sports betting legal, you’ll need to document everything that you win and lose. Things can get complicated so shorten your odds of messing up by consulting a tax pro. You can learn by visiting Debt.com. First, let’s clear up some confusion: gambling on sports is not yet legal all over the country. Jim is referring to the Supreme Court ruling in Murphy v. National Collegiate Athletic Association. In May, the Supreme Court decided that the Professional and Amateur Sports Protection Act, which stopped new states from legalizing sports betting in 1992, violated the 10th Amendment of the Constitution. Don’t remember that one? It means that unless there’s a specific power given to the federal government, that power resides with the people or the states. This is essentially the “states’ rights amendment,” and the Supreme Court ruled that the Professional and Amateur Sports Protection Act granted authority to the federal government power when it really belonged with the state — because the act ordered states to take specific actions to ban sports gambling. Only four states Nevada, Oregon, Delaware, and Montana were grandfathered in under the Professional and Amateur Sports Protection Act because sports betting was already legal. The Court’s ruling does not, in itself, make sports betting legal. However, many states are looking into how to regulate sports betting so that it may become legal. Gambling revenues in taxes alone could be enough incentive for the state to make at least some forms of sports betting legal before the end of the year. Then again, the Court’s ruling does not stop Congress from passing legislation to directly ban sports gambling. So your student loan repayment plan needs to wait at least a little while. Even now, the IRS takes reporting legal gambling winnings and losses very seriously. Auditing gambling losses is one of their favorite past times. Gambling winnings include lotteries, raffles, horse racing, casinos, or any cash or fair market value of physical prizes you win such as cars or trips. Look out for forms W2-G from the source of your winnings. You’ll receive a copy, but so will the IRS directly from the payer. Therefore, the IRS knows when something is missing from your returns! You must report all gambling winnings on a tax return even if you don’t receive a W2-G.
Gambling income is reported as “Other Income” on your tax return. You may deduct your gambling losses up to the number of your total gambling winnings as an itemized deduction on a Schedule A. You may not claim a loss on gambling income. Accurate records are a must. The IRS requires you keep detailed records in the form of a diary of all of your winnings and your losses. Receipts, tickets and other documentation you may have should be saved as well. While the Court’s ruling may not have legalized sports betting nationwide, it has certainly bulldozed a path. If you’re even a casual gambler, you might want to consult a tax professional to help you maintain the correct records in case you’re audited. Finally, about those student loans. Jim, if you’re a public school teacher, you might qualify for student loan forgiveness. You should check it out, because it’s a federal program, and it’s more reliable than betting against the spread on the NFL or NBA. 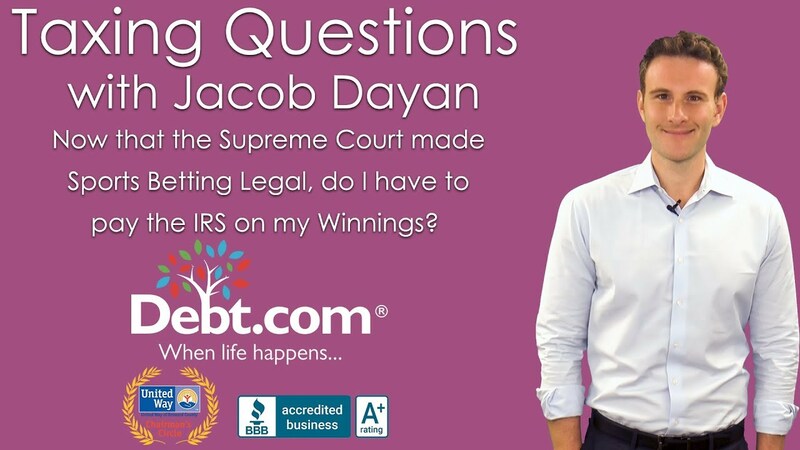 Jacob Dayan is co-founder of Community Tax LLC, a full-service tax company helping customers nationwide with all of their tax resolution, tax preparation, bookkeeping and accounting needs.